A new addition added lustre to this year’s BLF – the literary awards. 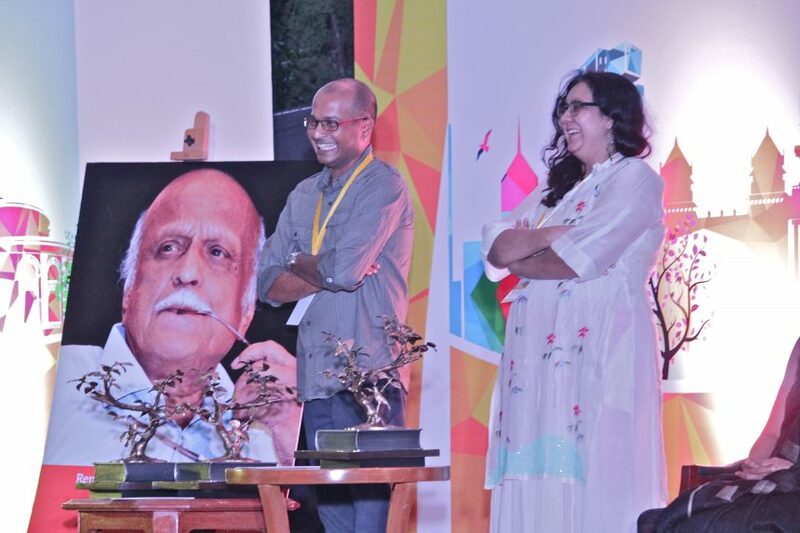 The Bangalore Literature Festival presented literary awards in association with Atta Galatta (founded by Subodh Sankar and Lakshmi Subodh). Atta Galatta is also the Official Festival Bookstore. The awards carry a total purse of Rs 2 lakhs for Best Fiction (English), Best Non-Fiction (English) and a Literary Achievement Award in Kannada. Usha K.R impressed on us why awards and events like these are important. “The event is a celebration of literature, a celebration of books, readers and writers,” she said. “This is a literature festival, if you must fight, fight with words,” said Harish Bijoor on the topic of how controversy should be handled.